Music is therapy. I use it to get back into the right frame of mind when my brainwaves aren’t syncing properly. 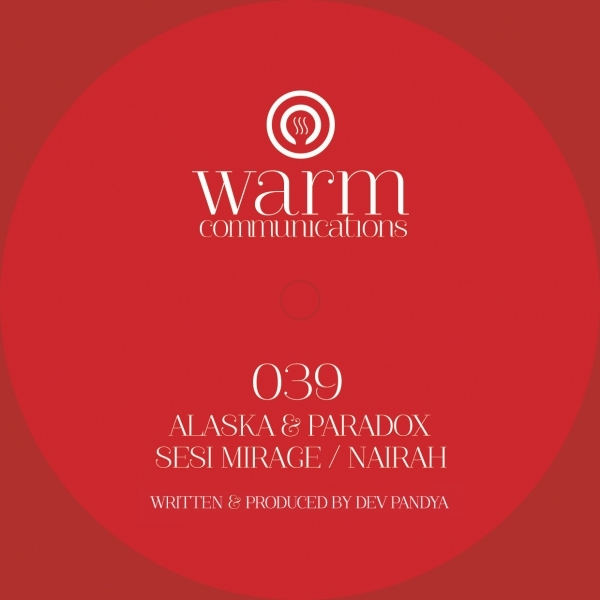 Thankfully, our bros at Warm Communications are releasing two new tunes from Alaska and Paradox Sesi Mirage/Nairah (WARM039) and my brain is thankful today. Sesi Mirage is an amazing, and modern, turn of atmospheric drum & bass. It takes me back to the 90s when I would lay on the floor and listen to Progression Sessions Volume 2 for hours on repeat. Alaska and Paradox have always been at the front of the class with that sound and they continue their fine work into this millennia.